VANCOUVER – Keeping the streets safe can be a daunting task, especially for a city with an approximate population of 175,000 people. 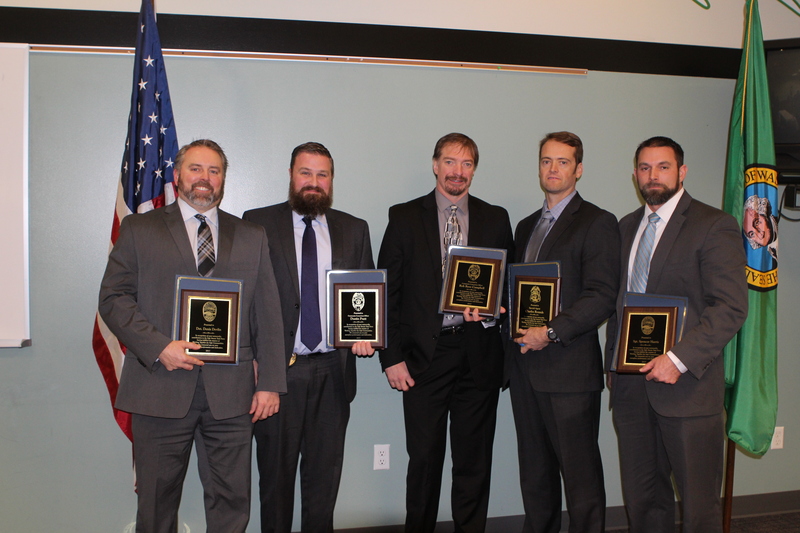 Vancouver, Washington is home to an interagency gang unit that was just recognized for their outstanding work. 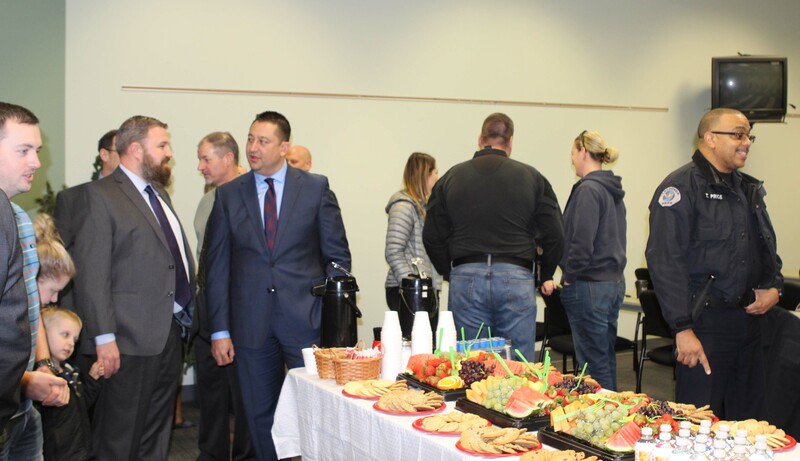 The partnership is a collaboration between the Washington State Department of Corrections (DOC), Vancouver Police Department, and the Federal Bureau of Investigation (FBI). 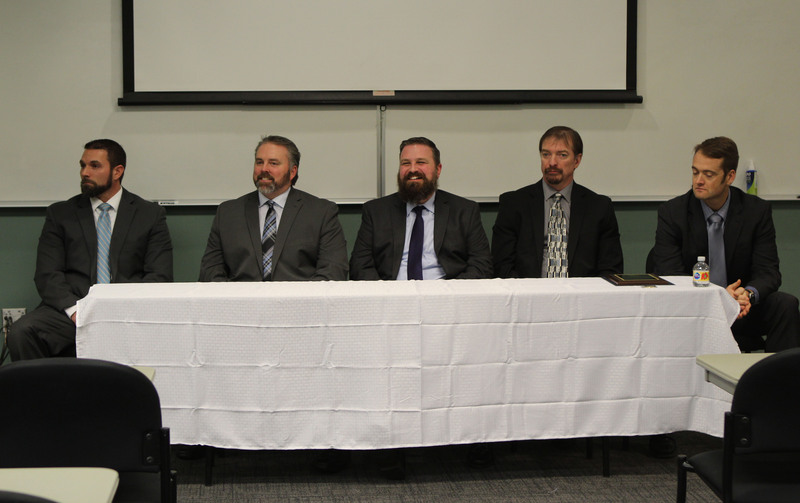 The team is comprised of 5 men: Community Corrections Officers Dustin Pratt and Rob Rees Campbell, Vancouver Police Department Detective Dennis Devlin and Sgt. Spencer Harris, and FBI Special Agent Charles Rounds. Due to their attention to detail and collaboration, they have been responsible for 466 arrests, 125 searches, retrieval of 67.8 lbs. of meth and 5 lbs of heroin, seizure of 124 guns, 10 vehicles and $386,687 in cash over a two-year span. Governor Jay Inslee and the state of Washington have strengthened efforts on gang prevention and intervention, including community discussions and a statewide summit. At a recognition ceremony hosted in early January 2018, the team was awarded with plaques, letters of appreciation, and service coins. Field Administrator Jeffery Frice emceed the event focusing on the vast accomplishments of the team. Family and friends of the honorees were in attendance showing their support. 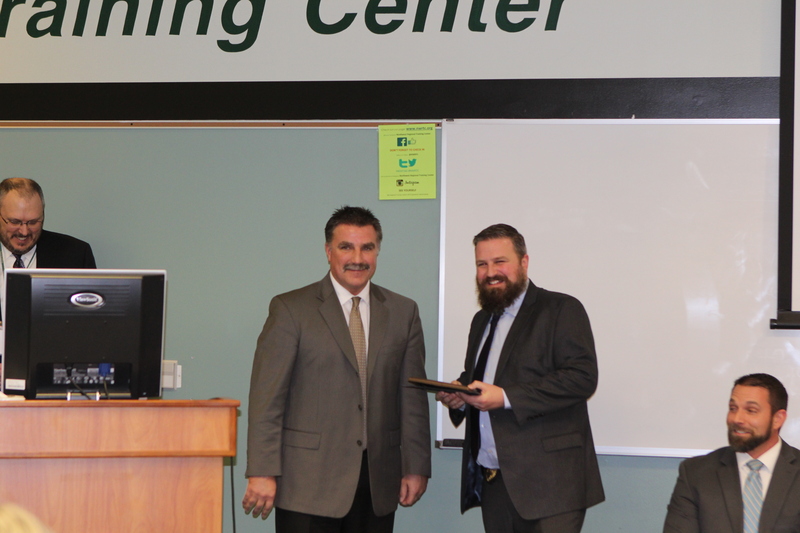 Frice recognized the sacrifices that those close to the team had to endure during late night investigations.